Auckland is by far the largest city in New Zealand with almost a third of the country’s entire population living within its urban sprawl. Auckland is also the city where the majority of new immigrants want to settle. 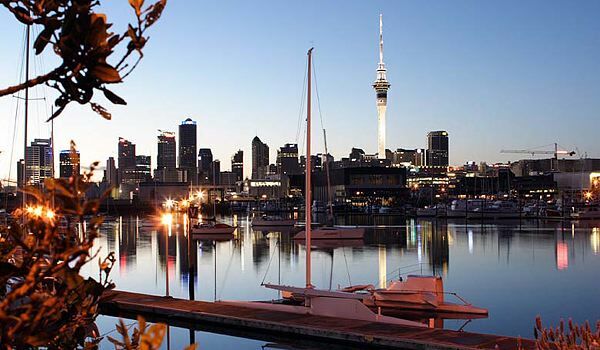 At the time of writing, Auckland is home to 1.4 million people. It is the largest Polynesian city in the world with 336.000 Maori and Pacific Islanders living mainly in the southern suburbs. With the increasing number of immigrants flooding into the city, Asians, mainly Chinese followed by Indian, Filipino then Korean, Japanese, Cambodian and Vietnamese, now total 430.000. 30% of this group are in the 20 to 34 age group. The Asian population is very noticeable in the city’s main shopping streets where large numbers can be seen shopping and socializing Having two of the country’s major universities next door to each other in the CBD only adds to the overwhelmingly large number of young people in the central city. With the city continuing to grow by 25.000 people yearly, a housing shortage has arisen and the city’s house prices are amongst the highest in the world. This is having an adverse impact on those looking for accommodation as rents soar. At the time of writing, a three bedroom house commands a weekly rent of $440.00 in the inner suburbs with some as high as $650.00 in the city’s most affluent areas. Auckland also has major traffic problems. This is currently being exacerbated by the construction of an underground train system, causing major disruptions to traffic in the CBD. The construction of a couple of huge office tower blocks only add to the traffic holdups around the business district. A six lane, 4.5 kilometre tunnel will open next year to ease travel across Auckland and it is hoped the new subway system will at least help make movement around the CBD a little easier. With the uncertain times the world is experiencing, New Zealand has become a favoured destination for those seeking safety and a less stressful life. With the influx of new citizens, the nearby cities of Hamilton and Tauranga are also experiencing rapid growth. Hamilton is just a 90 minute drive south and Tauranga is two and a half hours drive away. Needless to say, property prices in these two cities have also risen sharply in the past year. New Zealand’s total population has jumped to 4.500.000, small by international standards, but when you consider vast areas of the country are uninhabited because of the mountainous terrain, there is congestion in the main urban areas, with bumper to bumper traffic during rush hours in the largest North Island cities. New Zealand is famous internationally for two things, the All Blacks Rugby Team and the spectacular ‘Middle Earth’ scenery. It is also known for the laid back Kiwi lifestyle and the easy access to the great outdoors, especially for those living in the South Island. Unfortunately, this country also has issues that are not so pleasant to discuss but I plan to do this in future blogs as I hold a spotlight on New Zealand. I simply want to mention I’m newbie to weblog and really enjoyed this web-site. Most likely I’m planning to bookmark your website . You really come with beneficial well written articles. Cheers for sharing your web-site. Thanks for the comment. I had a designer set the whole thing up for me. Greetings from Idaho! I’m bored at work so I decided to browse your site on my iphone during lunch break. I really like the info you present here and can’t wait to take a look when I get home. I’m shocked at how quick your blog loaded on my cell phone .. I’m not even using WIFI, just 3G .. Anyways, awesome site! Fantastic site you have here but I was wondering if you knew of any forums that cover the same topics talked about here? I’d really like to be a part of group where I can get suggestions from other knowledgeable individuals that share the same interest. If you have any recommendations, please let me know. Thank you! Superb blog! Do you have any recommendations for aspiring writers? I’m hoping to start my own website soon but I’m a little lost on everything. Would you advise starting with a free platform like WordPress or go for a paid option? There are so many choices out there that I’m completely overwhelmed .. Any ideas? Thank you! Thanks for the comment. Pleased you like my blogs. I use WordPress. Great post. I was checking continuously this blog and I’m impressed! Very helpful information specifically the last part 🙂 I care for such info a lot. I was seeking this particular info for a long time. Thank you and good luck. Good post but I was wondering if you could write a little more on this subject. Hey there I am so delighted I found your blog page, I really found you by mistake, while I was searching on Google for something else, Regardless I am here now and would just like to say thanks a lot for a remarkable post and a all round enjoyable blog (I also love the theme/design), I don’t have time to go through it all at the moment but I have book-marked it and also added your RSS feeds, so when I have time I will be back to read more, Please do keep up the awesome work. Thanks for ones marvelous posting! I truly enjoyed reading it, you can be a great author.I will remember to bookmark your blog and will eventually come back in the future. I want to encourage you to continue your great work, have a nice afternoon! Yes I have a contact page. Hi I am so grateful I found your blog page, I really found you by accident, while I was browsing on Digg for something else, Nonetheless I am here now and would just like to say cheers for a fantastic post and a all round enjoyable blog (I also love the theme/design), I don’t have time to read through it all at the minute but I have saved it and also added your RSS feeds, so when I have time I will be back to read much more, Please do keep up the awesome job. I genuinely enjoy looking at on this internet site , it has got superb posts . “Something unpredictable but in the end it’s right, I hope you have the time of your life.” by Greenday.